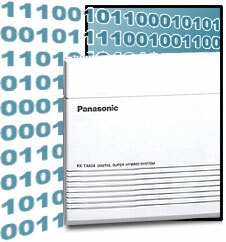 The Panasonic KX-TA624-4 telephone system is easy to set up and easy to program. Below we have a provided a quick reference of all programming codes used. All programming is performed from a display telephone connected to extension 101. To enter programming mode move the switch on the back of the phone to Program and press *#1234.